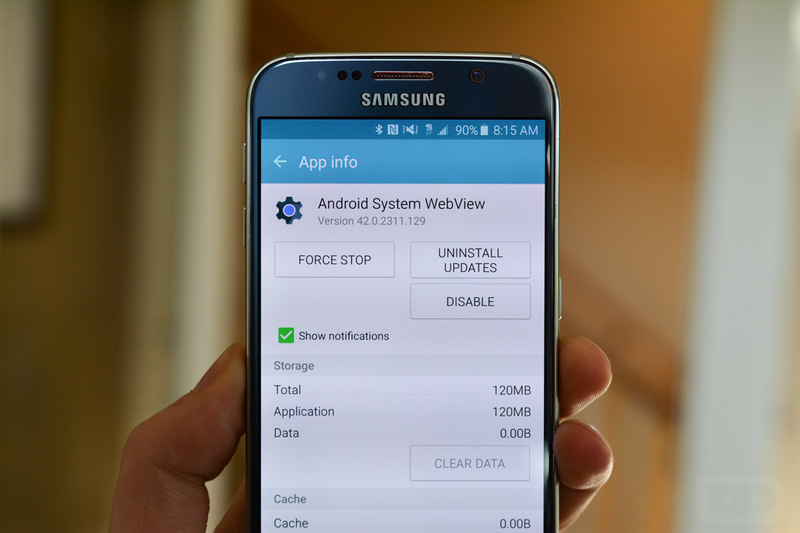 What is Android System Webview? Android’s Webview, as described by Google, is a “system component powered by Chrome that allows Android apps to display web content.” In other words, Webview allows 3rd party apps to show content in an in-app browser or in an app screen that pulls from the web. It’s pretty important, and has only recently (with Lollipop) been decoupled as a stand-alone system component that can be updated as Google sees fit. And that’s important, because it allows Google to push security fixes and other enhancements without the need to push an entire system update. What’s the problem then? As I’m not a developer, I can really only speculate, but my guess is that Google issued some sort of security fix in the latest update that is not playing nicely with 3rd party apps that are trying to access web content. Apps are crashing like crazy, freezing phones, and requiring regular reboots in order to work, even if temporarily. The official changelog for the latest update mentions that it “adds support for ES6 classes and provides stability and security fixes.” Whatever the exact cause, it has been a nightmare for those not realizing that it was Webview doing the damage. So what’s the fix? Uninstall the most recent update of Webview. On most phones, that means jumping into Settings>Applications (Manager)> and then finding Android System Webview, tapping on, and then uninstalling the latest update. You can see a picture of this screen at the top of this post. While that’s not exactly the greatest fix, because this latest update did introduces “stability and security fixes,” it might save your phone in the interim. We’ll let you know if Google pushes another update that fixes things.